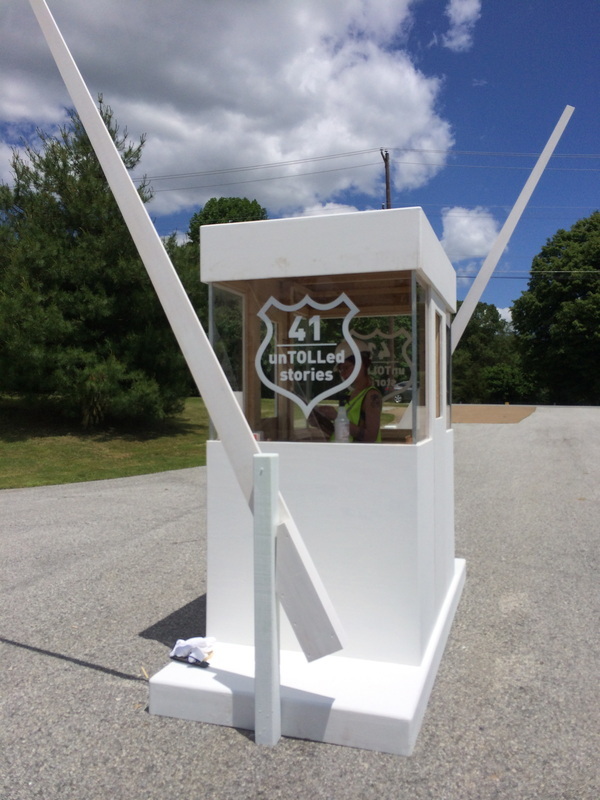 The unTOLL booth / unTOLLed stories was installed as part of Street Road's 2014 Arterial Motives exhibition. A response to local drivers' propensity to use the Street Road driveway as a means of avoiding a busy nearby intersection, the unTOLL booth was created to gather stories, and to reconsider monetary exchanges around public and private property, and transportation systems. Drivers were paid an unTOLL - fifty cents - in exchange for their stories about driving in the area, their personal driving habits, and hopes for future transportation developments. The unTOLL booth has become a semi-permanent structure on site. Visit the unTOLLed Stories blog for further information.